Though born near St. Louis, Dr. Koonce's early years were in Southern Mississippi, graduating High School in Gulfport, Mississippi. Directly from HS, he served a four year tour in the USAF, serving in Southeast Asia during the Viet-Nam conflict. College and Medical School were both at the University of Missouri, finishing College in 1974 and Medical School in 1978. Honors included Phi Beta Kappa as an undergraduate, with AOA honors from Medical School. Urology residency was at Dartmouth-Hitchcock Medical Center in Hanover, New Hampshire, finishing in 1983. Board Certification in Urology was completed in 1985. Re-certification in 1995 and 2005 has resulted in certified currency throughout his practice career. Private practice began at Neosho, Missouri in 1983 as a solo Urologist, part of a larger multi-specialty group practice. 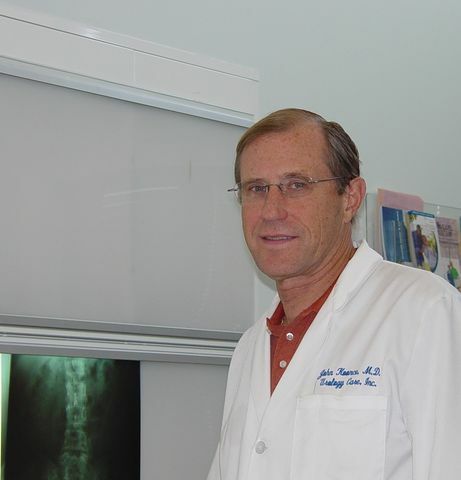 Dr. Koonce left that position in 1991 when he moved to Jefferson City to join group practice with Urology Care, Inc. Active in both Jefferson City hospitals, he has served as Chief of Surgery at St. Mary's hospital and Chief of Medical Staff at Capital Regional Medical Center, maintaining full clinical/surgical privileges in both locations. Dr. Koonce's wife, Patricia is also a Physician, practicing part time at the University of Missouri on the Pediatric staff. They have three children, all graduates of Jefferson City High School. Dr. Koonce's interests include aviation, cattle, and Mizzou sports.